These are back. I was hoping they had gone for good. Description: Failed extract of third-party root list from auto update cab at: <http://ctldl.windows...uthrootstl.cab> with error: The keyset is not defined. Generally "The keyset is not defined" indicates the presence of some non-alphanumeric character in the certificate store. when it finds it right click on mmc.exe and Run As Admin. Right click on Certificates and Export List. Give it a name like: cert3 and note where it is putting it. Then find the file cert3.txt and double click on it. It should open in notepad. Copy and paste the text into a reply. Repeat for the other cert files. Description: The driver detected a controller error on \Device\Ide\IdePort1. May be caused by one of your CD/DVD drives. In Device Manager, try right clicking on one of them and Disable then do the other. Then clear the events and reboot and run minitoolbox and see if you still get the alarm. Sometimes it helps to go into Device Manager and uninstall them then reboot so Windows can find them and reinstall them. How is it running now? I don't suppose MBAM would like to run now would it? I'm going to send you a PM. Certs; Third party, Untrusted, Trusted, Trusted people & Intermediate. After disabling DVD-drives, the logs still show the error, so I went back to Device Manager and it shows Elby Clonedrive under DVD/CD-ROM drives, which I uninstalled when disabling the actual drives. It re-appeared after boot. MBAM still gives the same error. Tried uninstall and re-install. Starfield Services Root Certificate Authority	Starfield Services Root Certificate Authority	1.1.2030	Server Authentication, Client Authentication, Code Signing, Secure Email, Time Stamping, OCSP Signing, Encrypting File System, IP security tunnel termination, IP security user, IP security IKE intermediate	Starfield Technologies Inc. 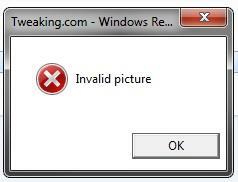 Description: Product: Microsoft Office Shared MUI (English) 2010 -- Error 1719. The Windows Installer Service could not be accessed. This can occur if the Windows Installer is not correctly installed. Contact your support personnel for assistance. Description: Product: Microsoft Office Professional Plus 2010 -- Error 1719. The Windows Installer Service could not be accessed. This can occur if the Windows Installer is not correctly installed. Contact your support personnel for assistance. Description: A timeout was reached (30000 milliseconds) while waiting for the Google Päivitä-palvelu (gupdate) service to connect. Description: http://ctldl.windows...hrootstl.cabThe keyset is not defined. Description: Windows is unable to verify the image integrity of the file \Device\HarddiskVolume2\ComboFix\catchme.sys because file hash could not be found on the system. A recent hardware or software change might have installed a file that is signed incorrectly or damaged, or that might be malicious software from an unknown source. Description: Windows is unable to verify the image integrity of the file \Device\HarddiskVolume2\Windows\System32\drivers\atikmpag.sys because file hash could not be found on the system. A recent hardware or software change might have installed a file that is signed incorrectly or damaged, or that might be malicious software from an unknown source. Don't see much in the certs. You can go back in and delete any of them that have expired. I would also uninstall Google Päivitä-palvelu (gupdate) or at least Disable the service since it's broken. You might try the free REVO uninstaller on your Elby Clonedrive. http://www.revounins...e_download.html The free version is near the bottom of the left column. Make sure you get the right language. REVO shows 11 results none of which are Clonedrive. I ran it though, and selected Disabled from the # of drives list and it disappeared from the Device Manager list. Odd that it doesn't show up as uninstallable though. Microsoft Installer fails with 'Class not registered' error (0x80040154). I think the installer was an older version so my mistake. It was the newest they had but I see I have 5.0 so assume you do too. Step 1: Check the Windows Installer Service. 1. Click Start Orb, in the start search box, type Services and press Enter. 2. Scroll down and find the Windows Installer. Double-click “Windows Installer” in the Services list. 3. On the General tab, make sure the service is started under “Service status”. 4. If the service is not already running, under Service status, click Start, and then click OK.
1. Click Start Orb, in the start search box, type MSIEXEC /UNREGISTER, and then click OK .
2. Click Start Orb, in the start search box, type MSIEXEC /REGSERVER, and then click OK . After you run this command, the operation is complete. 3. Now, try your installation again. Go to the Start Orb, type in Regedit and select enter. If you get the User Account Control dialog box that states, Do you want to allow the following program to make changes to the is computer?, Click yes. Modifying REGISTRY settings incorrectly can cause serious problems that may prevent your computer from booting properly. Microsoft cannot guarantee that any problems resulting from the configuring of REGISTRY settings can be solved. Modifications of these settings are at your own risk. Clear the alarms in System and Applications as before. Next, restart your computer. Run the Minitoolbox to show the alarms and copy and paste them here. I got that same Windows Installer window. The installer wouldn't work even after steps 1 and 2. There were no pending installations but there were file rename operations which I cleared. As far as I could tell, the system had Full Control over the keys in ...\CurrentVersion\Installer. Have we tried Windows Repair all-in-one? Download, Save and right click and Run As ADmin then press Start. Reboot when done. I think we did. Tried again, and it gives Invalid picture error when trying to start. Both Portable and Installer version. OK. Startup Process Monitor and then try to run it. Then go into Process Monitor and Files, uncheck Capture Events. Go ahead and Save the whole log as CSV and then upload it to one of the free server websites like http://www.filedropper.com/ and then give me the link. "C:\Program Files (x86)\Realtek\11n USB Wireless LAN Utility\REALTEK 11n USB Wireless LAN Software.ico"
and this Registry entry "HKLM\System\CurrentControlSet\Services\WinSock2\Parameters" have "ACCESS DENIED" errors. Can you take ownership of the files and give Administrators Full Control? The xml file I asked you for is KB2530548. It appears to be stuck. Can you uninstall it? Everything else ok, except for KB2530548 which wasn't listed and so I couldn't uninstall it. OK. Do you still get the bad image error when you try Windows All In One? What exactly does the error say. Can you take a Screen shot of the error? Can you run Process Monitor then try to do sfc /scannow and save the log and upload it to dropbox again and send me the link. That's literally all it says, screenshot attached. Link in your inbox. Edited by klmk, 06 August 2013 - 01:06 AM. Go to the folder and verify that System, Administrators and Your login have Full Control. Going to bed now. Will look at the log tomorrow. When clicking the Security tab in the Properties window for the directory, it says the permissions are incorrectly ordered and that that may cause some entries to be ineffective. In the 'Group or user names' box it has System, my login, Admins and Users in that order. All others have everything apart from Special permissions checked while Users has Read & execute, List folder contents and Read.